This clinic is designed to help team prepare for the National Field Hockey Festival held over Thanksgiving. This tournament will allow coaches to evaluate areas of strength and weaknesses leading up to Festival and allow for time to address and adjust before Festival. 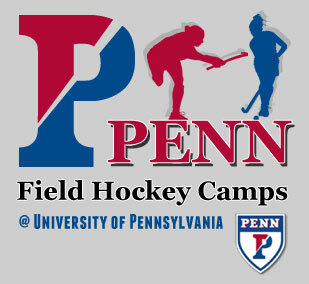 The shooting clinic instruction will be provided by the current Penn staff and players. Take advantage of these great savings now! Click your particular Sessions "Coach - Add to Cart" button, log in and register your team name. Send your campers to the site and ask them to register by clicking on the "Player - Add to Cart" button. All participants must be registered online prior to the start of camp. 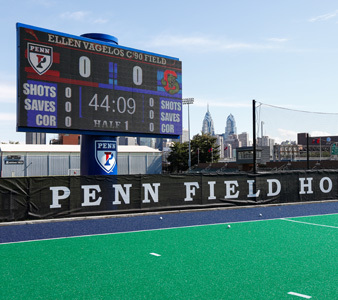 Penn Field Hockey sessions are open to any and all participants; limited only by age, grade level, and/or gender. This clinic is open to all girls in U16 and U19 divisions. Stick, Mouth Guard, Shinguards, Turf Shoes or Sneakers, Water Bottle, Lunch. *Goalies are responsible for providing their own equipment.